Kestle Barton is an ancient farmstead set in fields and woods high above Frenchman’s Creek and the Helford River, on The Lizard, West Cornwall. Not so long ago, the farm buildings were sinking into a beautiful and ruinous old age. 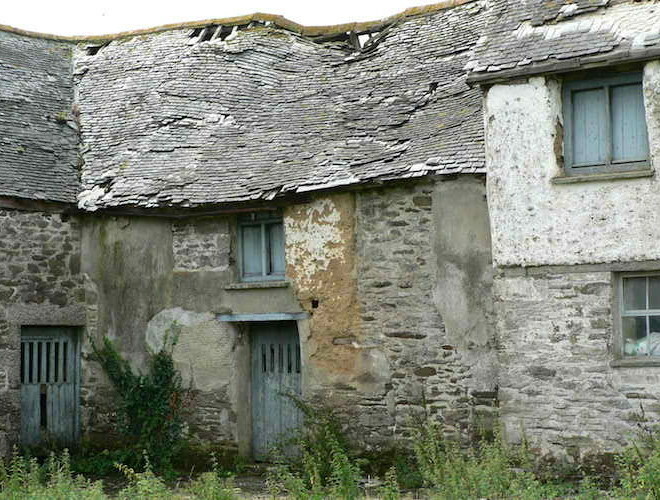 Architect Alison Bunning has ensured their conservation using cob; lime plasters, paint and render; and scantle slate. 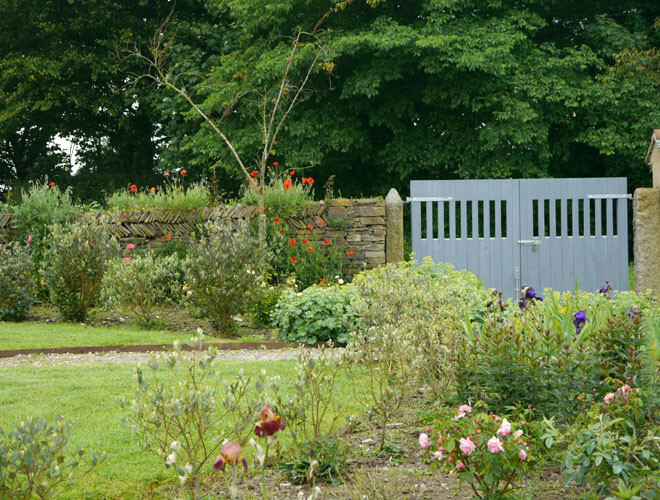 We currently have five houses of various sizes at Kestle Barton, used for workshop accommodation, artist residencies and for letting as holiday accommodation. All profit from holiday letting goes to Kestle Barton Trust for the purpose of furthering the arts at Kestle Barton. Our gallery and garden are open from 13th April to November 2nd 2019. There is no admission charge. In the gallery, we have a changing programme of exhibitions as well as events and workshops. We usually close on Mondays but are open on bank holidays. We tend to show four exhibitions a year; please note that in the week immediately preceding the opening of a new show there might not be much to see in the gallery. The garden will be open as usual. The garden was made in the old south-facing mowhay by designer James Alexander-Sinclair. He has created a real plantsman’s scheme of gauzy swathes of herbaceous plants and sweeps of tall grasses with hedges surrounding small circular spaces for sitting and dreaming. Beyond, is the meadow, an ever changing carpet of wild flowers and bees. We have a small tea-hut where you can help yourself to light refreshments; we use an honesty box system. We have apple juice from our own apples and, of course, Roskilly’s ice cream; great coffee, cakes and occasional lunches. Perfect after a stroll round our wild flower meadow and orchard. Kestle Barton Trust has been set up to bring contemporary art to this rural setting. We see ourselves as a research project, as we continue an investigation into the ways in which artists respond to the place and the ways in which different audiences might arrive at Kestle Barton and their experiences here. At times an artist will be invited to a residency at Kestle Barton. This is currently a research opportunity for the artist, as we have no studio space. We also collaborate on delivery of the Cornwall Workshop. The Cornwall Workshop provides professional development opportunities for artists, curators and critics who live and work in Cornwall and the South West, by creating a forum for dialogue and exchange with international colleagues, and by offering opportunities to experience and participate in ground-breaking international contemporary art. We hope to extend our Workshop opportunities. Please subscribe to our newsletter if you would like to hear about these. There is a box for this at the bottom of the page. At Kestle Barton it is the remains of a c1600 fireplace that have been reused in the construction of one of our barns. In 2005 Eric Berry, Nigel Thomas and Peter Dudley produced a Historic Building Analysis of the barns at Kestle Barton. Eric Berry spent several days looking closely at the buildings and a remarkable report was produced. Until 2004 Kestle Barton was owned and farmed by Boaden Lyne. A short film of his reminiscences of Kestle Barton can be seen here. Another branch of the Lyne family continues to farm next door at Chy-an-Kestle. Andy Lyne has a herd of red Limousin cross cattle that can often be seen grazing in our fields. His farm and ours were once a single entity, split during a family difference; neither farm is quite big enough to sustain the herd so using our grassland is a good option for us both. In 2013 we were able to buy the western wing of the Farmhouse, so bringing the current land and buildings within the Kestle Barton curtilage into single ownership. 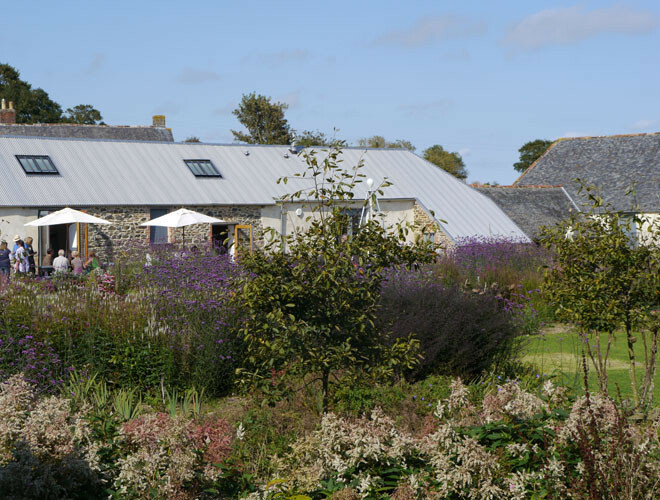 The cottage as ￼￼￼￼existing was large enough for us to be able to make an Artists’ Apartment for residencies, a two bedroom cottage – now Kestle Cottage – to add to our holiday letting resources, a studio and the Apple Store, a place for meeting and screenings. 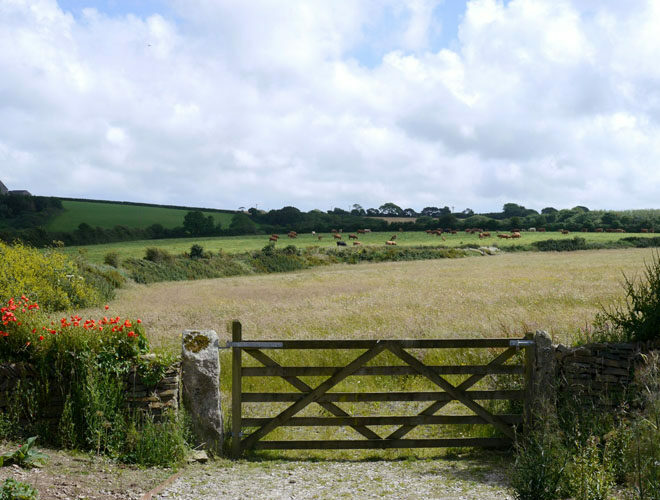 Kestle Barton is situated on the footpath between Helford Village and Frenchman’s Creek, on the circular walk. Walk up to Kestle Barton from Helford village, or park at Kestle Barton and take a magical circular woodland walk to Frenchman’s Creek and Penarvon Cove, allowing for a Roskilly ice cream at Helford post office before you return.Kestle Barton can also be reached from the north bank of the Helford River by ferry from Helford Passage. 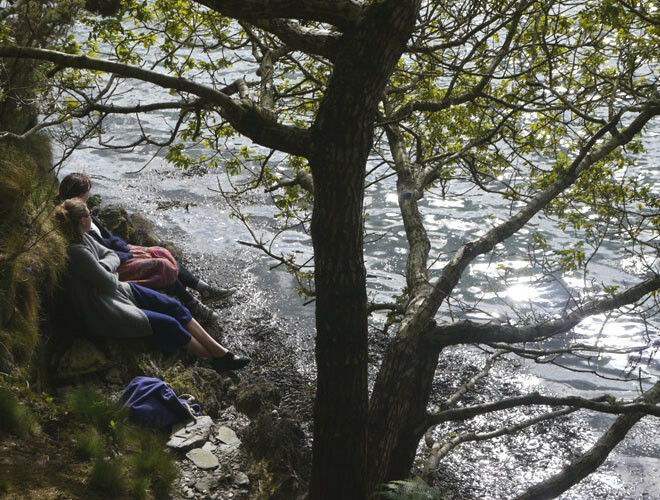 It is a twenty minute walk from the landing stage at Helford. For more details of the ferry, visit Helford River Boats website www.helford-river-boats.co.uk/ferry or phone 01326 250 770. There is a public car park at Helford Passage above The Ferry Boat Inn. Leave Helston on A3083 towards Lizard, driving past Culdrose. At the mini roundabout turn left B3293 towards St Keverne. At the next mini roundabout in Garras take the third exit towards St Keverne, still B 3293, drive past Trelowarren for about a mile.Take a left turn signposted to Helford and Manaccan. In Newtown St Martin turn right at the T junction and immediately left, signed Helford and Manaccan.In about a mile and a half at the small cross roads take left turn to Kestle and first right to Kestle Wartha. Kestle Barton is about half a mile on the right. Kestle Barton has post code TR12 6HU but beware of SAT NAV directions as the route it will send you is more difficult to drive. Kestle Barton is clearly signposted from the B3293 with brown signs.